Reunion of Giants | Suddenly SeeMore Productions Inc. 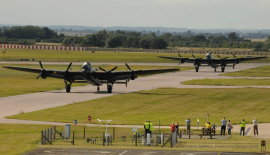 The last two airworthy WWII Lancaster Bombers reunited over England to make history in 2014. 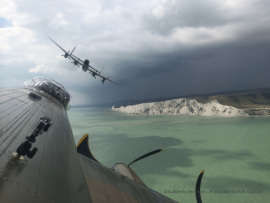 A war relic from Canada crossed the Atlantic to meet her counterpart in the UK and for the first time in 50 years two Lancasters shared the sky for a reunion tour. The Canadian Warplane Heritage Museum Lancaster, VeRA, flew from Hamilton, Ontario to meet her British counterpart, Thumper—the only other airworthy Lancaster in the world—operated by the Royal Air Force in England. 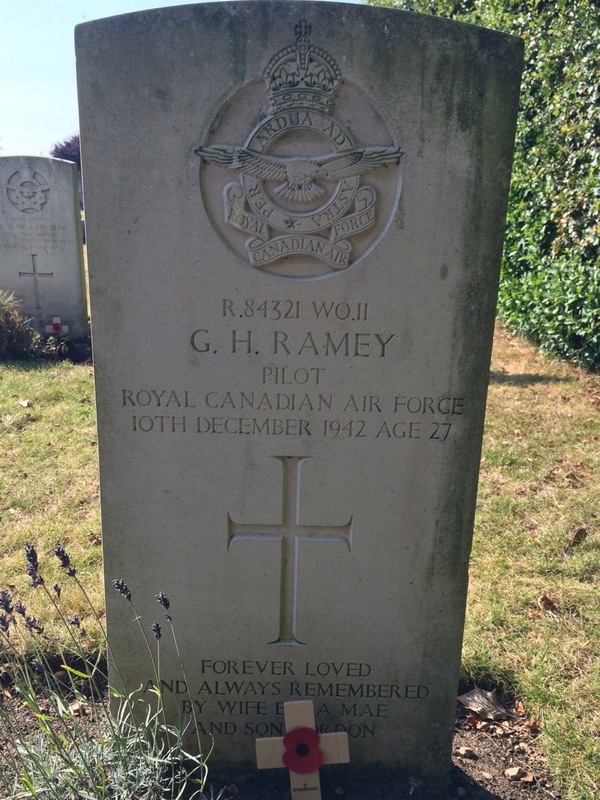 It was a mission unlike any other this Lancaster and her flight crew had ever undertaken. 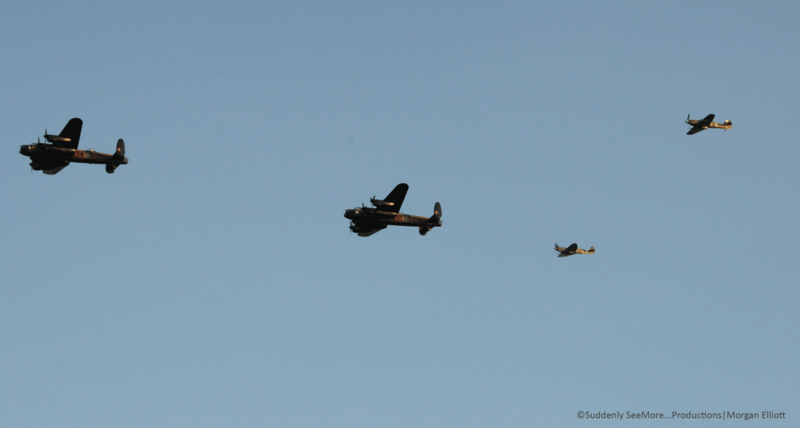 Two legendary bombers, separated by time and distance, met in Bomber County to fly together, this time in peace. The reunion was also a farewell tour to veterans of Bomber Command, who are so entwined in their proud history. These marvels of mechanical engineering are part of a proud lineage credited with bringing an end to WWII. First-hand accounts from those who were connected to the bomber during the war transport us back in time as they share what it was like during the Lancaster’s glory days. REUNION OF GIANTS documents this historic mission as it unfolds, through the eyes of the flight crews and veterans—all part of the bombers’ history, including this new chapter as VeRA crosses the Atlantic. in select Cineplex theatres across Canada. Participating theatres will be announced this September with free tickets becoming available beginning October 2, 2015. 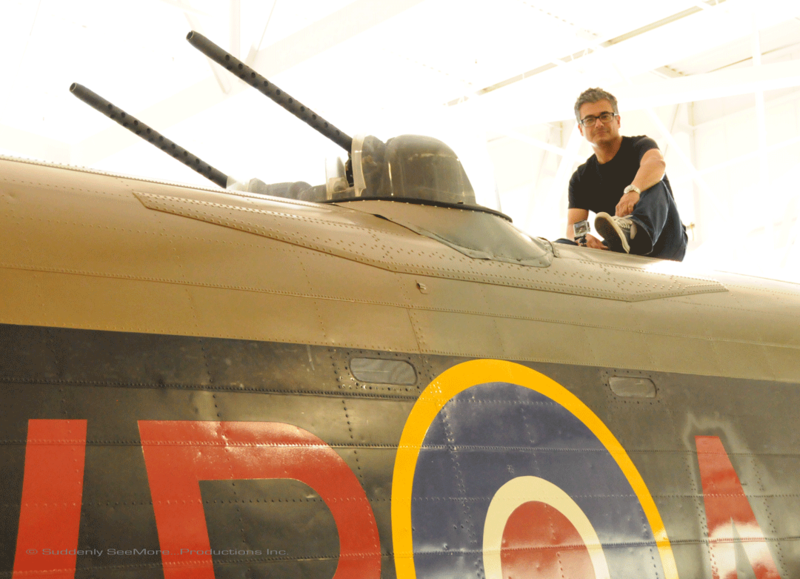 For information on tickets, theatre locations and future DVD availability, please visit warplane.com. 104 year-old Veteran of Bomber Command Reuben Hicks released himself from hospital and then travelled 3.5 hours so he could see the last two remaining air worthy Lancasters in the world meet for the first time. Flying by Beachy Head en route to the Eastbourne Airshow–the first airshow of a very busy six week schedule of performances. 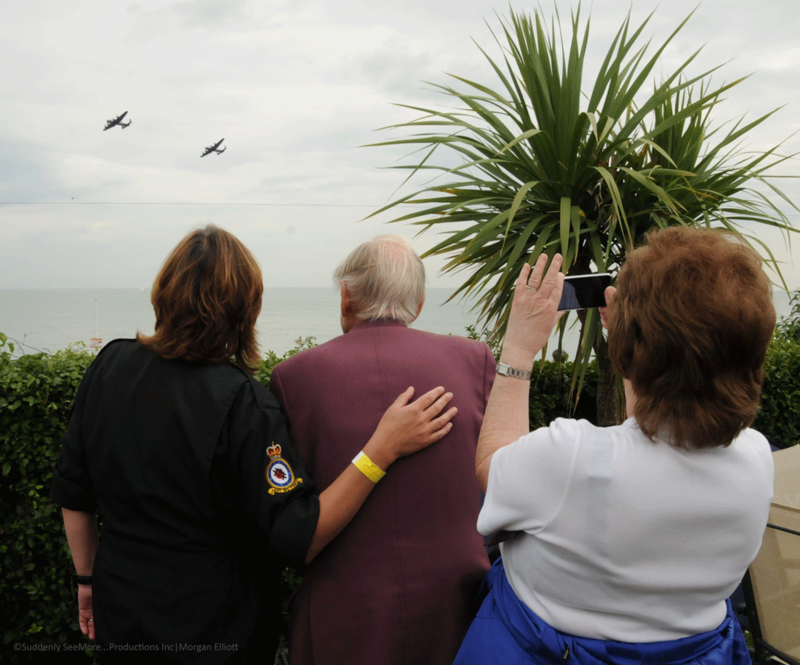 WWII Spitfire Pilot Maurice Macey joins BBMF Yvonne Masters to watch the two Lancasters flying at the Eastbourne Airshow. 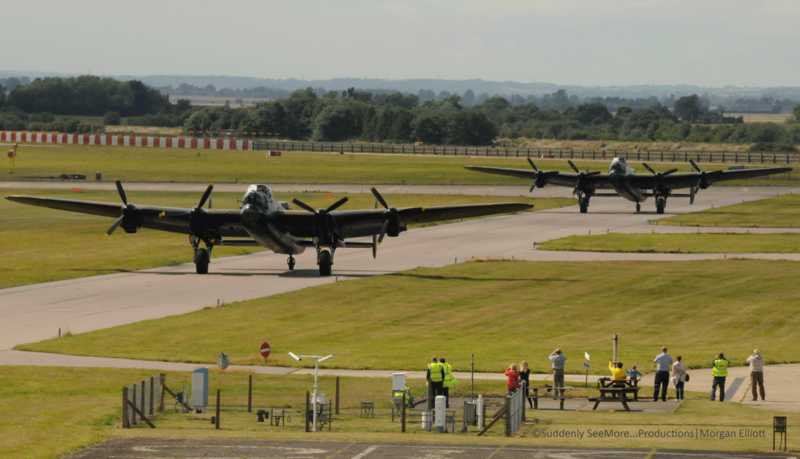 VeRA and Thumper taxiing down the runway together for the very first time. 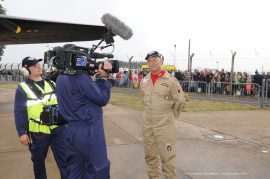 Aviation history is about to be made as they take to the sky. REUNION OF GIANTS is a passion a project for all those involved. 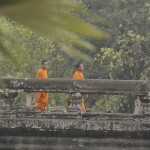 From a story-teller’s perspective, it was incredible to witness history being made first-hand. These opportunities rarely present themselves. The coolness factor of the transatlantic journey alone was off the charts. We had incredible and unprecedented access—no other production crew in the world had this front row seat. We worked alongside both the Canadian Warplane Heritage Museum and the Royal Air Force and were able to tell the story as it unfolded. 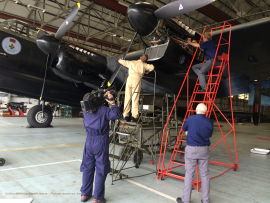 The most important aspect of this documentary is that these last two remaining air worthy Lancasters are a living memorial for those who paid the ultimate sacrifice. To watch the faces of the dwindling number of the veterans of bomber command when they see two Lancs is difficult to describe but incredibly powerful to witness. 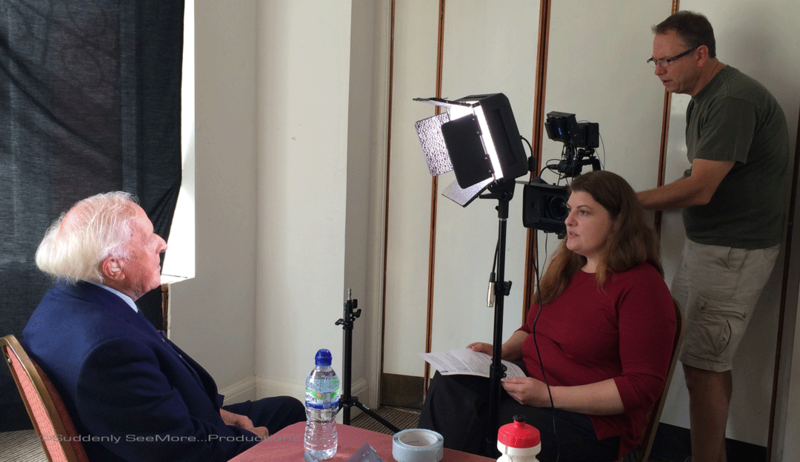 It was an honour to meet and interview some of veterans of Bomber Command, and to hear their incredible stories. Lest we forget. 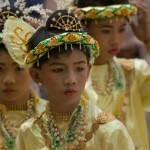 Bottom line, it’s an authentic and solidly positive story, with genuine and compelling people. The journey was not without drama, such as engine #2 refusing to start on the widely publicized departure date in Hamilton while 3,000 spectators, national press, and live local news anxiously stood by. 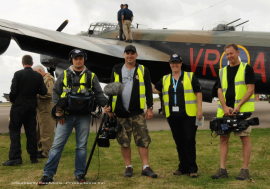 Vera eventually unceremoniously taken back in the hangar to hopefully be fixed, to her arrival in England in the midst of a massive storm, grounding all the historical planes at RAF Coningsby, and threatening the need to reroute the Canadian Lanc to another airport. But in fine dramatic style, just as the Canadian crew was about to abort their approach, the clouds parted and a very small window appeared allowing her to land. It was unbelievable. We had our camera operator, Matt Clayson, onboard the transAtlantic flight along with five GoPros mounted on Vera, and another camera operator, Jeff Denesyk, on the ground. 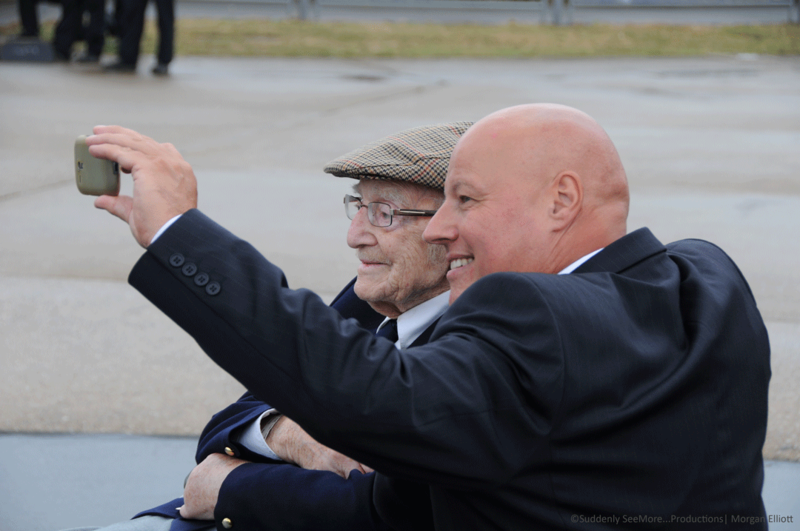 The response from the veterans of Bombers Command waiting for our Lanc to land was incredibly moving. Young and old…everyone was moved by seeing these two gals! During the tour, engine #4 blew its supercharger during flight, requiring an emergency engine shut down and landing with the remaining three Merlin engines. The tour had to stop while the crew worked to figure out a solution…and a way to get Vera back in the air. Rebuild the engine (which would end the tour completely) or find a replacement engine? Not an easy task to do on a 70 year-old plane! The headlines were quite dramatic “Engine failure strands Lancaster bomber in Britain”. We were there. Taking a 70 year old plane across the Atlantic and back, is not without risk. Was it worth it? Absolutely. Ask anyone along the tour and they said unanimously “Thank you. Thank you for bringing her over”. No one thought this would ever happen. History in the making. Seriously. Epic. And we’re privileged to be documenting it. Part of the crew that helped make this production a reality: Kris Delchev, Matt Clayson, Morgan Elliiott and Jeff Denesyk. 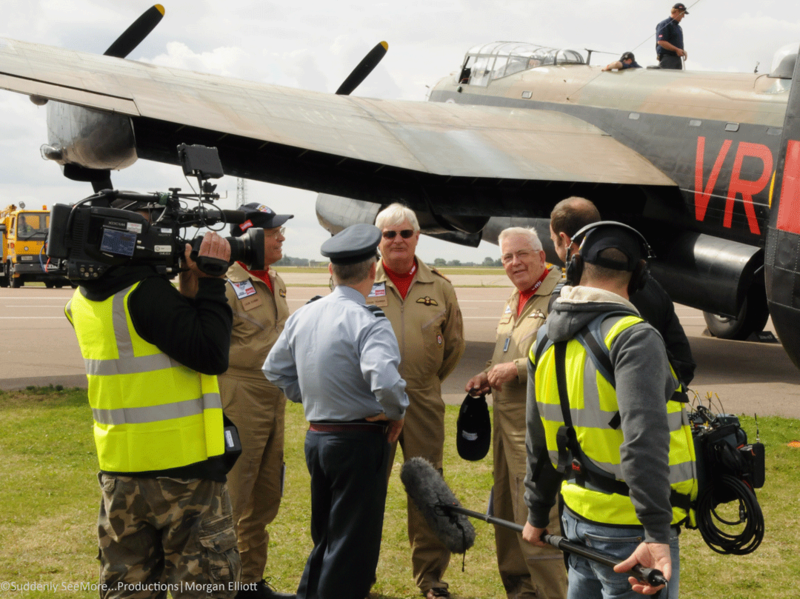 Kris, Matt and Jeff flew in the Lancaster on her historic transatlantic journey. Our technical producer, Mark Krupka, rigging and testing the GoPros for the historic journey. 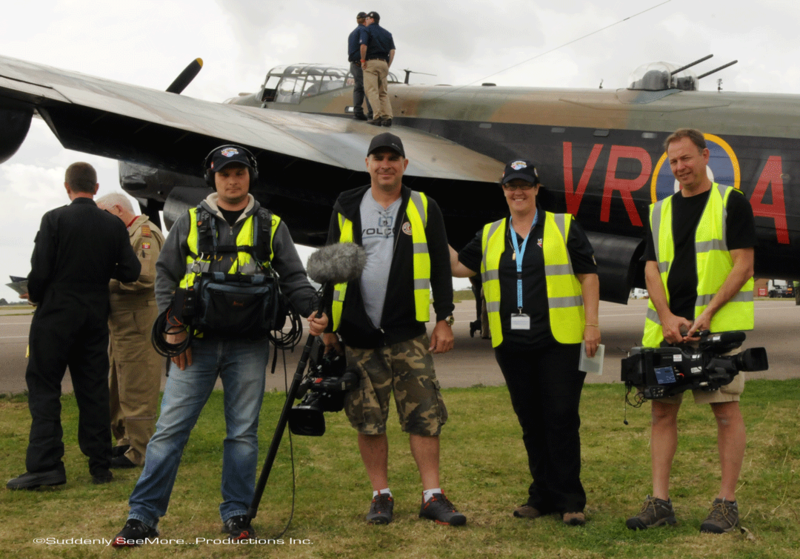 Two of our talented crew members–camera, Mike Grippo and sound, Paul Gosse–catching the action of the Lancaster before she left for the UK. Pilot Leon Evans updating us on the historic landing in the UK. 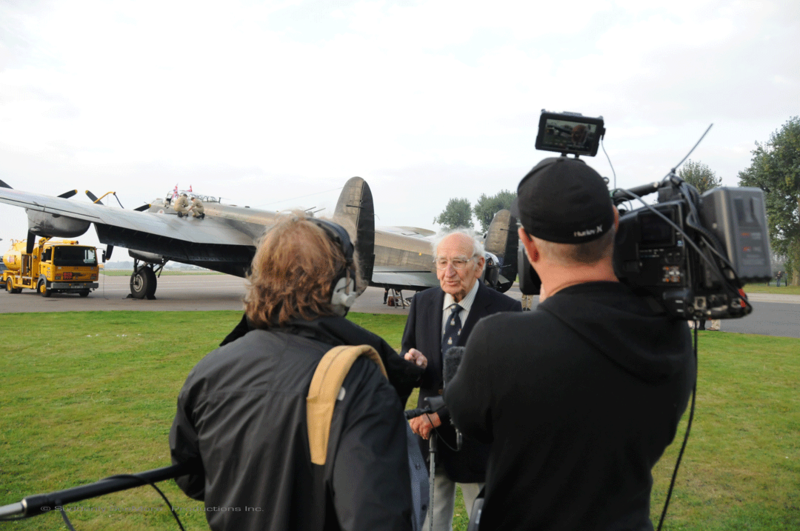 A Veteran of Bomber Command sharing his experiences of flying a Lancaster during wartime. 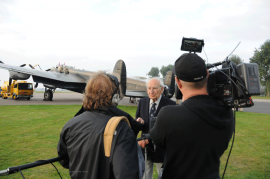 Lancaster bomber flight engineer Craig Brookhouse. The Canadian Warplane Heritage Museum receiving their PDA (Public Display Approval) from Air Vice Marshall Atha. Final preparations at RAF Coningsby before the return transatlantic flight back to Canada. Producer Carla Jones and cameraperson Jeff Denesyk interviewing Ron Brown, a veteran of Bomber Command.